Perfect for Experts: Add beads, cables, or colored patterns. Requires only basic knitting or beading skills. 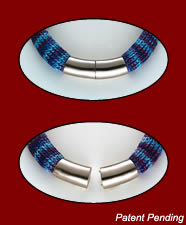 Easy to Wear: The magnetic clasp is so simple to use. 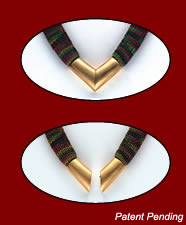 Make necklaces to match sweaters and coordinate outfits. © Copyright 2004-2007, Barbara Zucker, Inc. Patent Pending. Site design by Ethan Todras-Whitehill.